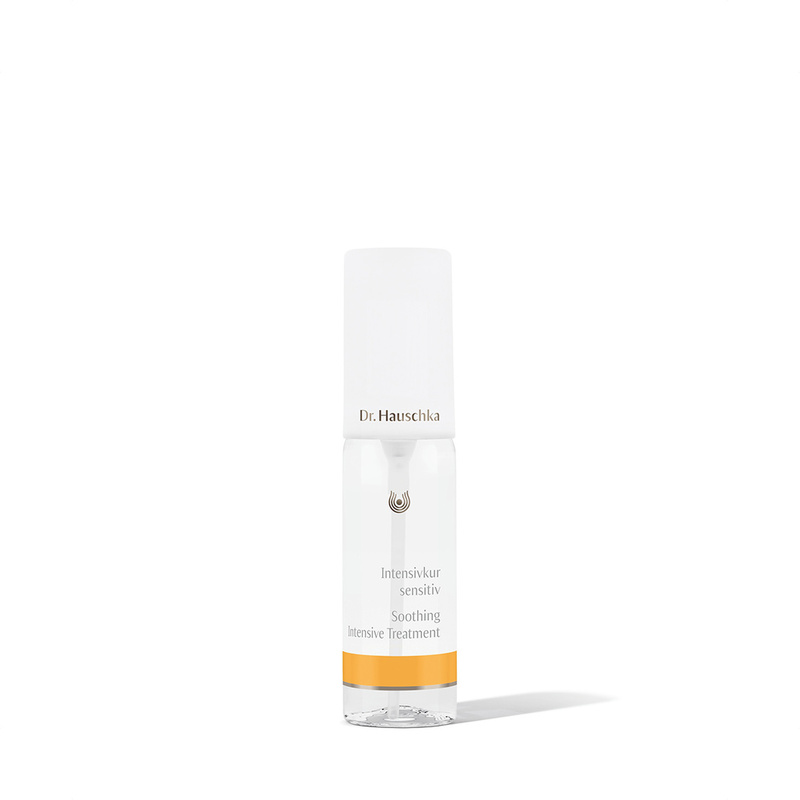 Dr. Hauschka Intensive Treatments with specially selected natural treasures in rhythmitised form complement the basic skin care routine. They support the skin when it has become unbalanced and needs a harmonising impulse. Soothing Intensive Treatment offers powerful and strengthening care for hypersensitive, stressed, reddened and troubled skin. Skin cells are renewed every 28 days. Mirroring this same regenerative cycle, Soothing Intensive Treatment should be used as skin care for 28 days in place of Facial Toner or Sensitive Care Conditioner.